The Shovel Knight (now updated to Shovel Knight: Treasure Trove) co-op patch we heard about earlier this year has finally arrived. Now everyone can enjoy the joys of swinging a shovel with a friend! Yacht Club Games announced on Monday that the local co-op patch is available for the PC, PlayStation 4, Playstation 3, Xbox One, Nintendo Switch, and Nintendo Wii U. With the way auto-updating works these days, chances are the patch has already been applied to your version of the game. 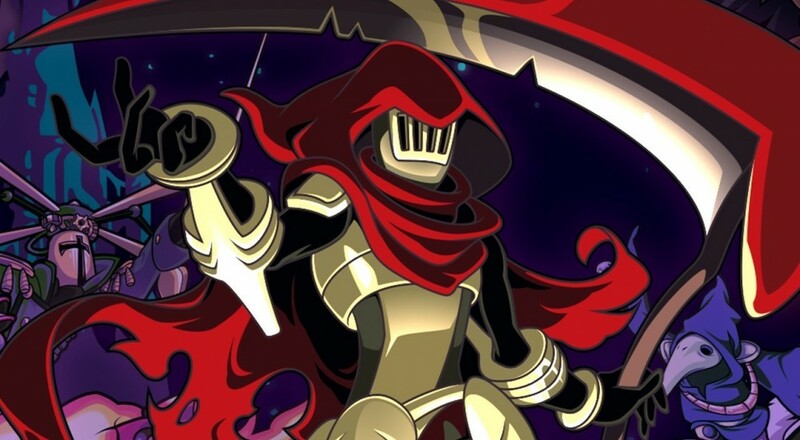 The developer even posted up a handy little Co-Op Manual to answer those important questions like "What campaigns support co-op" (only the main Shovel Knight campaign) and "Will co-op come to more campaign in the future?" (not at this time). Unfortunately, this local co-op functionality is only supported on the console/PC versions and it is not available for the 3DS or Vita editions. Shovel Knight: Treasure Trove is currently available on PC, PlayStation 4, Playstation 3, Xbox One, Nintendo Switch, and Nintendo Wii U.